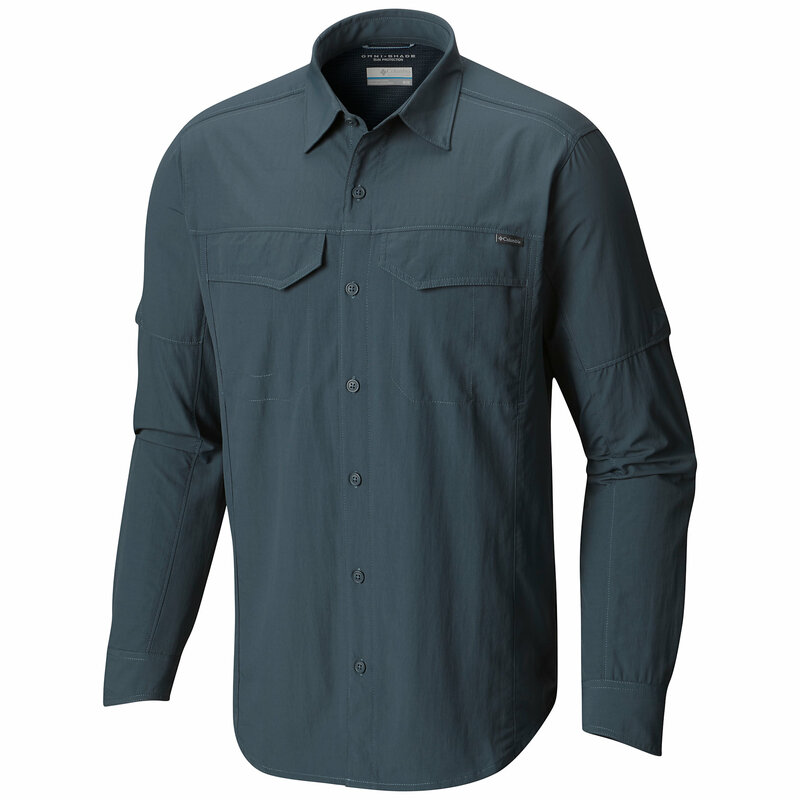 Visit ExOfficio's Men's	Bugsaway Baja Long-Sleeve page. 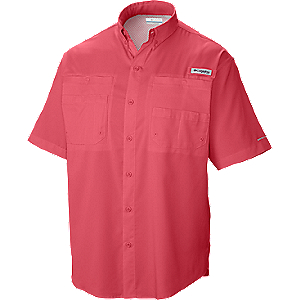 Stay protected on sunny days with UPF 30+ sun protection to repel UV rays. 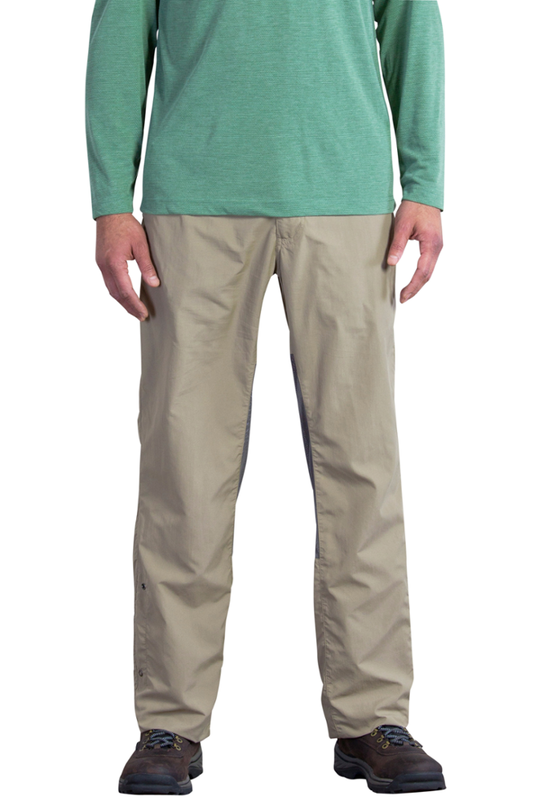 A quick-drying, wrinkle-free 55% cotton/45% polyester fabric is treated with Insect Shield to repel mosquitoes, ticks, flies and midges for up to 70 washes. A superior ventilation system and roll-up sleeve tabs help circulate air to keep you cool. Two security zip pockets hold essentials. 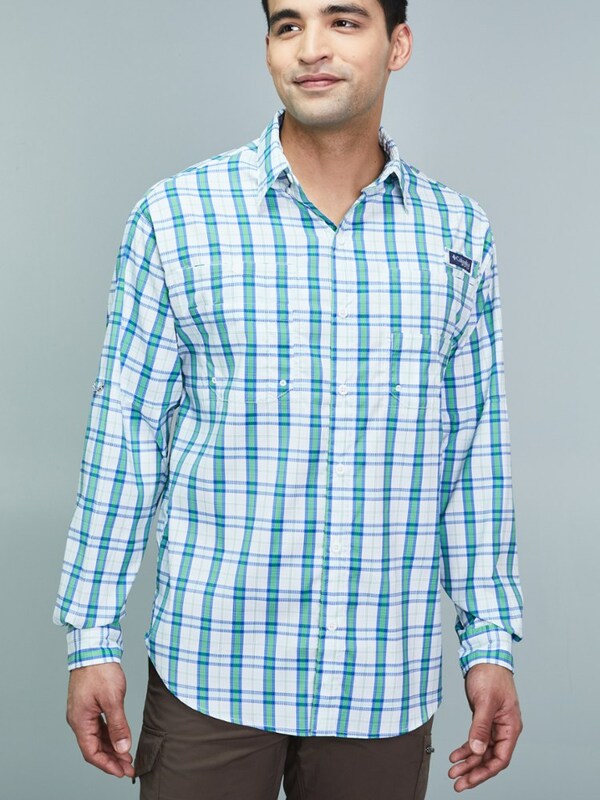 Button-front placket. Imported. 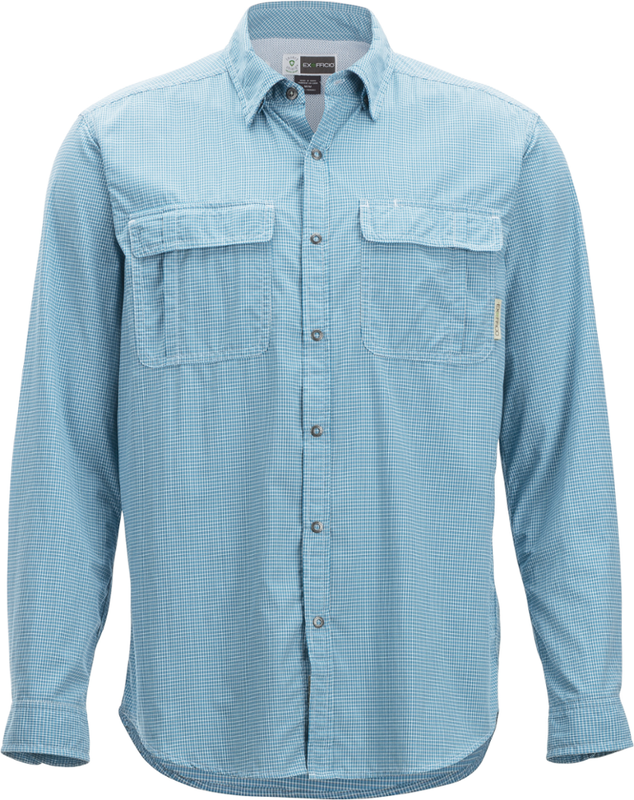 The ExOfficio BugsAway Baja Shirt fends off annoying insects and harmful ultraviolet rays while allowing excellent airflow so you can enjoy your travels to tropical locations. 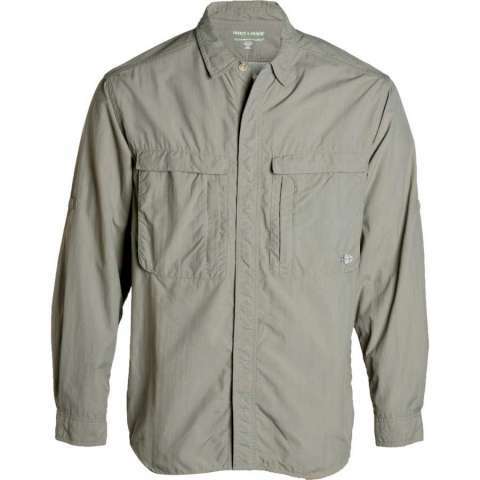 The ExOfficio Bugsaway Baja Long-Sleeve is not available from the stores we monitor. It was last seen January 9, 2018	at Backcountry.com.